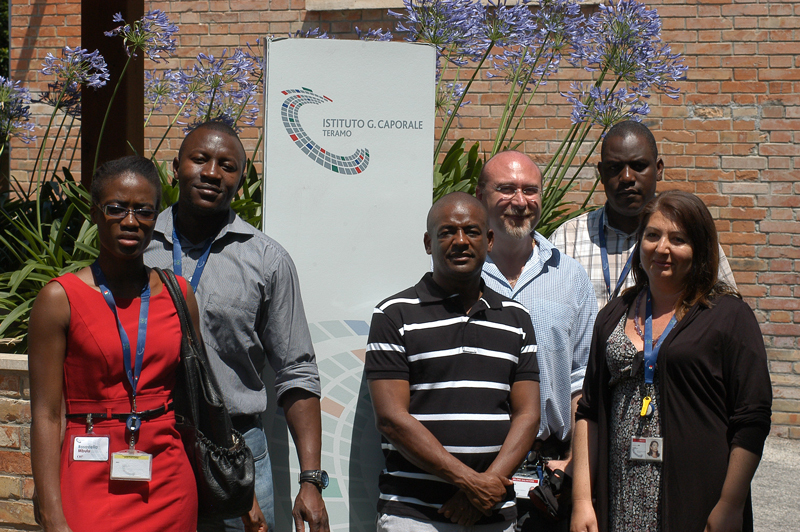 From 27 June to 8 July 2011, Rosa-Stella Mbulu, Roderick Haraseb, Lukas Lipumbu and Renatus P. Shilangale from the Namibian Central Veterinary Laboratory (CVL) visited the Institute in the course of a World Organisation for Animal Health (OIE) two-year twinning program, which runs from February 2011 to February 2013. 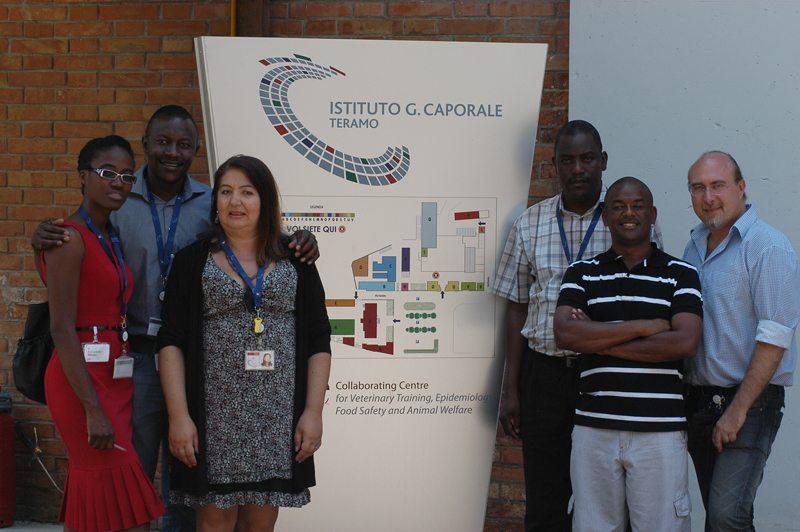 Acting in its capacity as OIE Collaborating Centre for Veterinary Training, Epidemiology, Food Safety and Animal Welfare, the G. Caporale Institute is providing support to the Namibian CVL to enable it to improve its technical skills regarding food safety inspections. 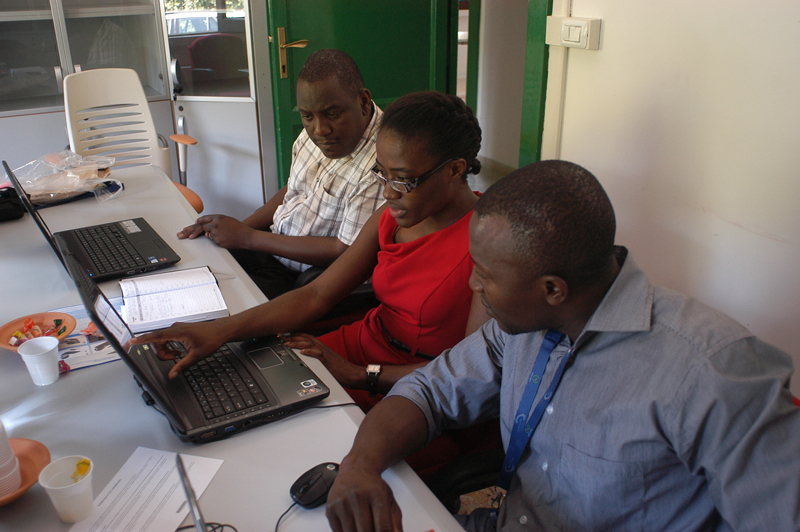 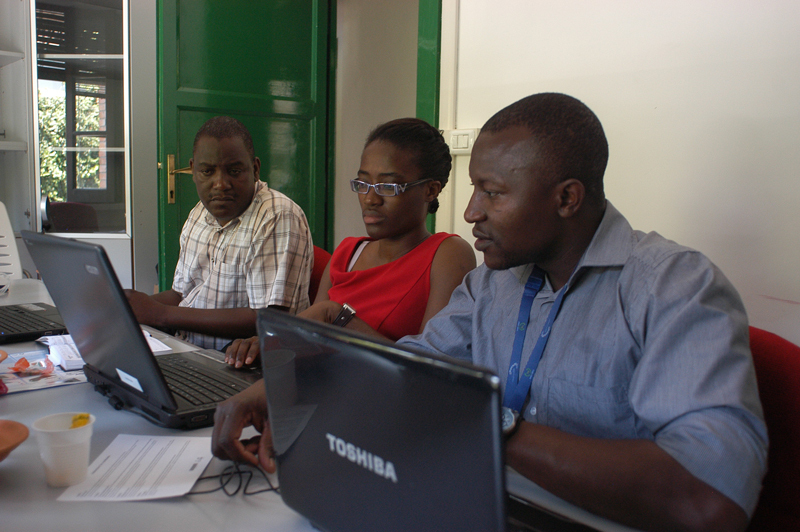 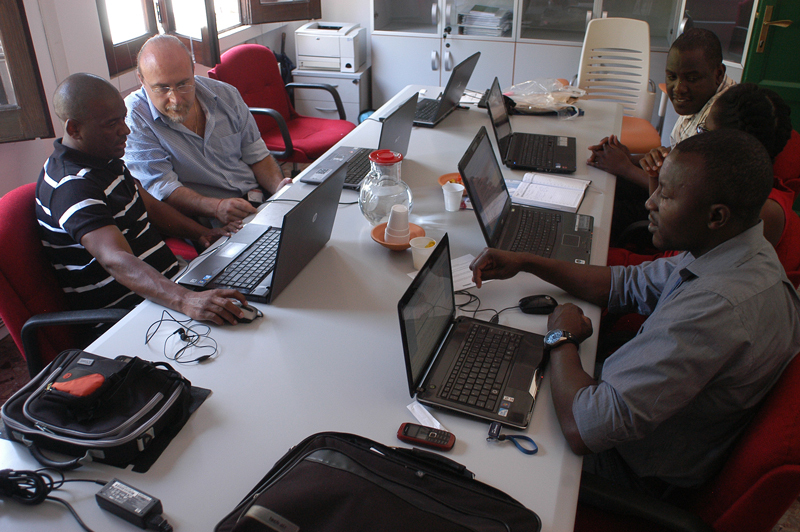 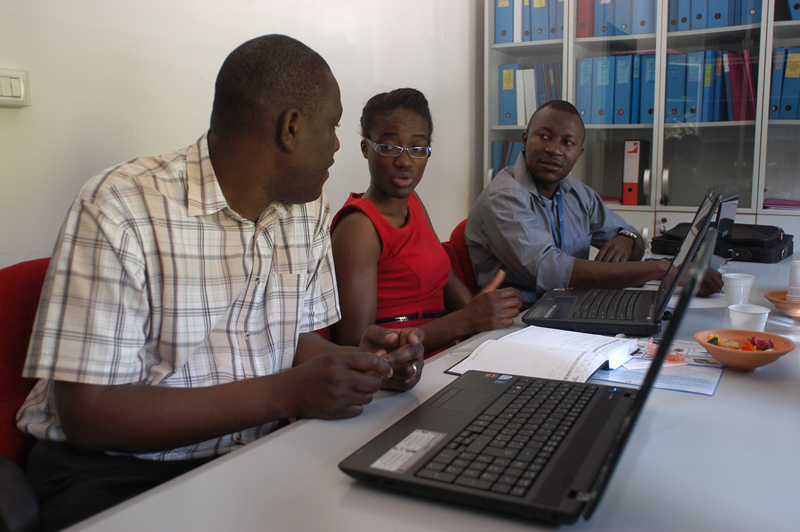 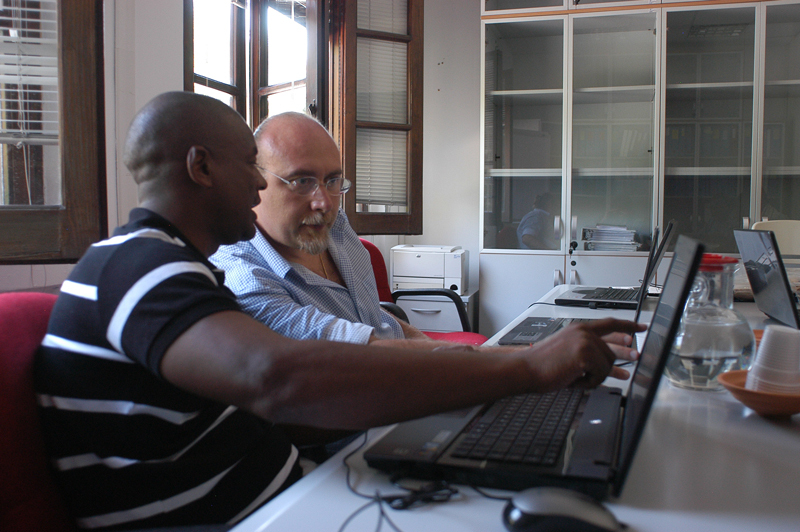 The OIE twinning project is specifically designed to train personnel from the Namibian laboratory in activities such as screening and confirmation tests regarding residues of veterinary medicines, pesticides and heavy metals; detection and identification of pathogens in food and water; validation of analysis methods; and guarantee of the quality of analysis results.